Our staff has been described as the ‘Orthodontic United Nations.’ Members of our team hail from all over, including the United States, India, Morocco, Latin America, South Korea, Nigeria, and Pakistan. We speak a variety of languages fluently, among them English, French, Spanish, Urdu, Moroccan, Ibo, Arabic and Korean. Our staff also includes former military personnel and represents a full range of educational backgrounds, from high school students to holders of doctoral degrees. We prize continuing education and reward those who seek out new training and educational opportunities. Like all areas of health and medicine, orthodontics is a rapidly changing field. We always strive to offer new and innovative means of treatment. Our doctor and staff have spent many hours taking continuing education courses to keep us up to date, a process that continues each year. We feel this is the only way we can treat our patients with the best possible care. Hi! 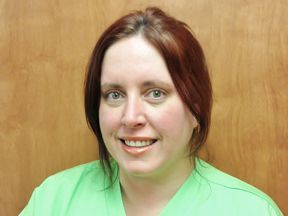 My name is Ashley and I am part of the clinical staff at Greenway Orthodontics. I look forward to working with my coworkers and enjoy assisting my patients everyday. Greenway Orthodontics is a fun and loving environment and I am so glad that I am part of this great team. When I am not at work I am either hanging out with my friends or reading a book. I hope to see you soon for treatment! 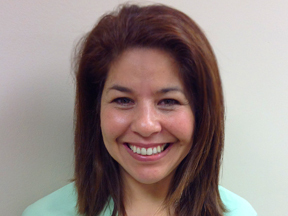 Hello, my name is Diana and I am the financial coordinator at Greenway Orthodontics. 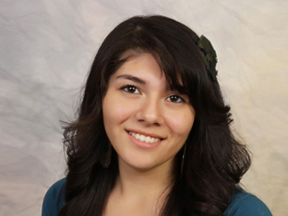 I am a certified Dental Assistant and was an assistant for five years before becoming the financial coordinator. I have been at Greenway orthodontics since 2012 and I enjoy working with the wonderful team of doctors and patients. I am blessed to have a job I love to come to everyday. When I am not working you will find me entertaining friends and family or enjoying the outdoors. I hope to see you in the office soon! 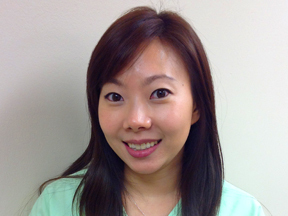 Hello, my name is Hana and I am part of the clinical staff at Greenway Orthodontics. I first got introduced to Greenway Orthodontics because Dr. A was my orthodontist for my braces. I got such wonderful results that I took a great interest in orthodontics. I am certified in dental radiography and chair side assisting for orthodontics. One of my jobs as an orthodontic technician is to assist the doctor in giving you a confident and beautiful smile. Outside of work I enjoy traveling with my husband, eating out and taking my dog Hiro to the park. I look forward to meeting you and getting to know you while you are in treatment at Greenway Orthodontics. Salut! 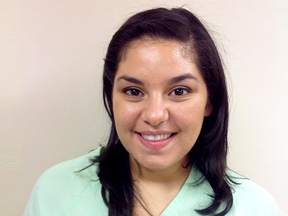 My name is Karima, and I have been with Greenway Orthodontics for about a year. I am originally from Morocco, so I am fluent in French, Arabic and English. I earned my bachelor’s degree in biology at the University of Hassan II, and I also have a degree as a computer programming analyst. I have spent two wonderful years as a teaching assistant at the School for Autistic and Deaf Children, and I have experience using sign language. I thoroughly enjoy spending my time with children, so the opportunity to work for Greenway Orthodontics was perfect for me. 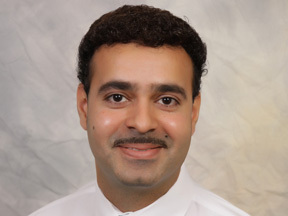 I am a certified dental radiologist and one of the many wonderful orthodontic technicians here at the office. I have a beautiful daughter, Amira, with whom I spend every minute while I am not working. I also enjoy cooking (my Moroccan CousCous is famous at the office! ), eating out, and having fun! I always have a smile on my face, and while in treatment you will hear one of my many jokes. A la prochaine! Hi! 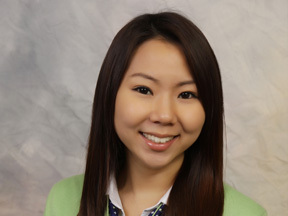 My name is Lydia and I am the Administrative Manager for Greenway Orthodontics. I have been working with Dr. Anthony Anyadike (we call him ‘Dr. A’ at the office) since 2009, and I couldn’t ask for a better job! 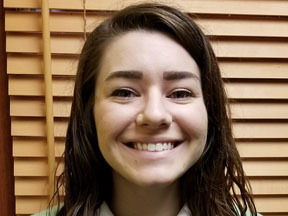 As the office coordinator, also licensed in orthodontic assisting and dental radiography, I strive to help you understand orthodontics and enjoy your experience at Greenway Orthodontics. I went through orthodontic treatment with Dr. A using Invisalign, so I can personally tell you how great the results look. When I am not at my wonderful job, I enjoy spending time at home with my family, dining out with my friends, and reading. I look forward to meeting you and assisting you in any way possible. Salam, my name is Aurangzeb Alamgir but please, call me Mr. Z. I started as a part-time employee with Dr. A in 2008, and am proud to say that I am now part of the wonderful staff at Greenway Orthodontics full time. I am part of the managerial team for the clinical staff, and I also perform the duties of an orthodontic assistant to Dr. Anyadike. I have received a bachelor’s degree in the Dental Surgery Program offered at BZU South Asia University of Pakistan. I decided to enter the orthodontic field because I truly enjoy helping people by creating a beautiful smile. I am happily married with four beautiful children, and I enjoy book reading, photography and wild life/bird watching. I look forward to seeing you during your treatment! Hiya, my name is Rachel. I’m currently a part of the administrative staff here at Greenway Orthodontics. I started my journey with this wonderful office back in January of 2016. It’s been a privilege to have worked with Dr. Anyadike and his delightful staff. Orthodontic treatment can be overwhelming at times. I’m here to help our patients and families make a smooth and successful transition into braces. I look forward to working with you and helping you achieve the goal of a beautiful smile! When I’m not at work you can find me getting lost in our local state parks, by foot or by bike. Can’t wait to meet you, see you soon! 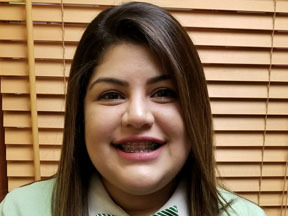 I am proud to be a part of the Greenway team and enjoy sharing my experiences in dentistry to help make your orthodontic experience a pleasant one for you and your family. I have worked in dentistry since 1989; in almost every specialty including dental labs and on a dental equipment repair truck. Certified Expanded function General/Orthodontics and dental radiology. Graduate of “Great Lakes School of orthodontics” in Buffalo New York. I have taught the MD state Chairside Orthodontic Assisting certification program for the State Of Maryland at Carroll County Community College. Proud member of the Baltimore Chapter of the Guardian Angles; prior member of the surgical and orthodontic Equadent team who travels to Ecuador to help children with dental and facial deformities. In my spare time I work with several dog rescue organizations and foster special needs dogs. I look forward to meeting you and sharing your journey to a fabulous smile. Hello my name is Zayra. I have been in the customer service industry for 8 years, I speak fluent English and Spanish and as your scheduling coordinator I am happy to help you schedule your appointments at a date and time that works best for you. I have experienced brace treatment at Greenway Orthodontics and I love my results. Now I have firsthand experience in understanding what you’re going through and can answer any questions you may have. When I’m not in the office I love spending time with my husband, 2 daughters and all my family. I also love watching new movies and swimming. Hope to see you soon.